Whole life insurance is part investment, part insurance policy. 1. When Is Cash Value Life Insurance a Good or Bad Idea in Investing? All life insurance allows you to provide for your loved ones after you're gone. 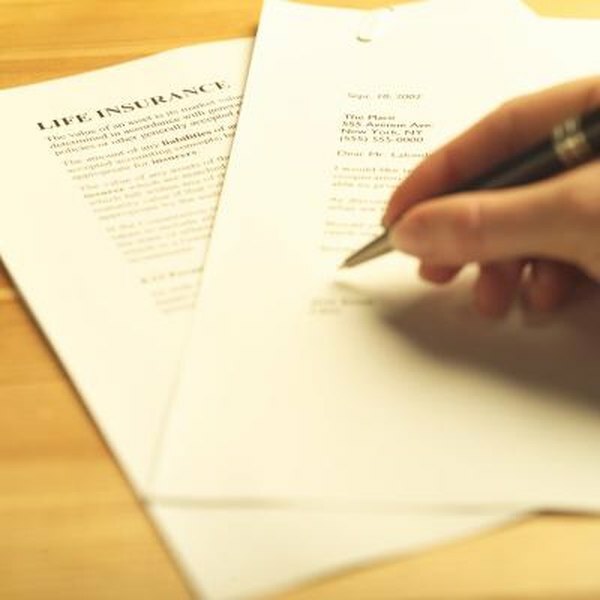 However, the type of life insurance policy that you take out can have significantly different impacts on your budget while you're alive. Just about all life insurance policies fall into one of two categories: whole life insurance or term life. A whole life insurance policy is both an investment vehicle and a life insurance policy. A portion of your premiums goes toward the cost of the insurance, and the remainder is invested within the insurance policy. Depending on your policy, it might generate a fixed rate or return, it might be tied to an market index, or it might be invested in stocks or bonds. The money grows tax-free in the account and builds a cash value, which you can later draw on. Any dividends you receive are tax-free as long as they don't exceed the amount you've paid in premiums. Another major advantage of whole life insurance over term life is that your policy stays in effect as long you continue to pay the premiums. Plus, the premiums never change, even as you get older and your risk of dying goes up. So, you don't have to worry about your rates skyrocketing when you're 80 years old. With term life insurance, you're guaranteed coverage only for a certain period, such as 10 or 20 years. After that you'd have to apply for a new policy, and then you could face higher rates or be denied coverage. When you've built up cash value in your whole life insurance policy, you can take out a loan against the value. However, if you have loans outstanding when you die, that decreases the death benefit paid to your beneficiaries. For example, say you have a $500,000 policy, but you haven't repaid $50,000 on a life insurance loan at your death. Your beneficiaries will get $450,000, and $50,000 is treated as being paid to your estate to pay off the loan. A whole life insurance policy is a lot more expensive than a term policy because of the investment portion, and it can take more than over a decade before the cash value builds significantly. According to the Texas Department of Insurance, it's a good idea to hold the policy at least 15 to 20 years, even though half of whole life policies are cashed in within just five years -- which is a generally a bad financial idea. In addition, if you cash in the policy after just a few years, you might have to pay high surrender charges.